At our Northern California firm, our friendly staff has experience in every area of employment-based immigration law. Attorney Kelly S. Wachs and her staff will personally handle every aspect of your employment immigration matter from start to finish, so nothing gets lost in the shuffle. We understand how stressful the immigration process can be, so our staff is available to help make it as easy as possible. We work with you to determine which visa is appropriate for you, we help you gather the documentation you need, and we prepare and file your visa application with government agencies. We also help you prepare for your interviews and provide assistance with all correspondence about your visa application. Our goal is to eliminate the hassles of immigration paperwork and prepare you for approval of your work visa or green card. We have a special emphasis on employment-based immigration law so we are experts in the ins-and-outs of obtaining work visas and green cards for businesses, individuals, and investors. Our Monterey Bay Area office staff provide customized services based on your particular needs, and we answer phone calls and emails promptly. And, we don’t bill you by the minute nor have hidden costs, so you aren’t surprised by unexpected fees at the end of our engagement. We specialize in helping businesses, universities, investors, and individuals obtain green cards for permanent residence or nonimmigrant work visas for temporary residence. Located in Santa Cruz County, our law office serves clients in Silicon Valley, the San Francisco Bay Area, nationwide, and globally. “The most remarkable thing about working with Kelly and her office is how personal they are. How much they care really comes through– I know I’m not just a case number to them. They can get busy, but when I have questions they make the time to hear them all out, understand me, and actually get to know me. “Kelly S. Wachs has helped me for last 10 years (2007-2017) with all my immigration needs starting from h1b (from student visa) to green card to citizenship. Kelly is very knowledgeable, kind, sharp and professional with a touch of humanity which you rarely find in the field of law. “Kelly and her office have handled visa, and later change of status to permanent residence for me and my wife. 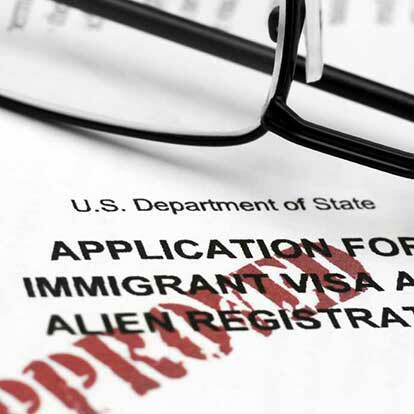 Both applications were complex and with a large stack of supporting material, and neither required any additional information from USCIS after the application was submitted before being approved. Kelly Wachs has been practicing employment-based immigration law for 25 years. Her office (The Law Office of Kelly S. Wachs, a Professional Law Corporation), in Aptos, CA, in Santa Cruz County, specializes in employment-based immigration. Kelly has extensive experience representing start-ups, high-tech firms, hospitals, universities, entrepreneurs and investors. Her practice areas are H-1b’s (Cap Exempt and Cap Subject), O-1’s (Aliens of Extraordinary Ability in the Arts, Sciences, Athletics and Business), L-1’s (Intracompany Transferees) E-1/E-2’s (Treaty Trade/Treaty Investors), and TN’s under the Free Trade Agreement for both Canadians and Mexicans. She also handles employment-based green cards ranging from EB-1’s (Aliens of Extraordinary Ability), EB-1(B)(Outstanding Professors and Researchers), EB-2 (Aliens of Outstanding Ability), National Interest Waivers and EB-3’s along with J-1’s and waivers of the two-year foreign residency requirement. Kelly received her Juris Doctorate from the University of Pacific, McGeorge School of Law in 1993. She was admitted to the California Bar in 1993. She holds a Bachelor’s degree from the University of Massachusetts where she earned her degree in History with a minor in East Asian Studies in 1985. Prior to law school, from 1986 to 1990, Kelly worked for the Kornblum law firm in San Francisco, where she became licensed as a Private Investigator. During and after law school, Kelly worked for the prestigious immigration law firm Kanter, Lehman & Yun in Sacramento, CA. In 1994, Kelly opened her own law practice in Sacramento and shortly thereafter, moved to Santa Cruz where she has practiced ever since. Her boutique firms consists of two Attorneys, two Associates and an Office Administrator. Additionally, Ann Lipson, Esq. formerly of Lipson & Pretorius, serves as “Of Counsel” to the Law Office of Kelly Wachs, a Professional Law Corporation. Kelly is a member of the American Immigration Law Association (AILA), the American Immigration Law Foundation, and the Northern California Division of the AILA. Ajla Husić is dedicated to immigrant rights and personally understands the challenges that immigrants face in the United States. Ajla was born in Sarajevo, Bosnia, and she immigrated to the United States as a refugee. Ajla received her Juris Doctorate in 2013 from Golden Gate University School of Law in San Francisco, CA. During her last year in law school, she was a Judicial Intern at the International Criminal Tribunal for the Former Yugoslavia (ICTY), in The Hague, Netherlands. Ajla is multilingual and speaks Bosnian, Croatian, and Serbian with native proficiency. Ajla is admitted to the State Bar of California and the United States Court of Appeals for the Ninth Circuit. Ann L. Lipson, J.D., M.A., M.S. (2), is a dual U.K./U.S. citizen who has over 30 years’ experience practicing exclusively U.S. immigration and nationality law. She received her Juris Doctor degree from the University of Wisconsin in 1980, and opened her own immigration law practice in 1988 in Berkeley, CA. She has particular experience in helping clients with J-1 visa waivers, as well as academics, scientists and engineers seeking permanent residence on the basis of extraordinary ability, international acclaim or national interest. 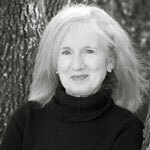 Ann, who is fluent in French and Spanish, has lectured on U.S. immigration law in Paris, has published overseas, and guest lectured on immigration law at Golden Gate University Law school in San Francisco. Chandni began her immigration career as an immigration law clerk with a prominent company in the Silicon Valley, providing case management support for high volume accounts and handling a wide range of employment-based immigrant and non-immigrant visa matters. While in law school, she gained experience in a variety of practice areas, from administrative law as a legal intern for the Department of Insurance and the Governor’s Office of Legal Affairs to criminal law as an intern in the office of the California Attorney General. 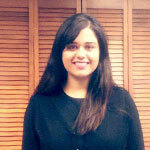 Chandni was born in India and migrated to the United States with her family in 2001. Being an immigrant herself, she has first-hand experience navigating the U.S. immigration process. After completing law school and obtaining her Juris Doctorate from the University of the Pacific, McGeorge School of Law, Chandni decided to return to her passion and resume a career in immigration law working in-house for Lipson & Pretorius LLP. Since 2015, Chandni has been with the immigration Law Office of Kelly S. Wachs, a Professional Law Corporation, working primarily with small business and startups. She is fluent in Hindi and Punjabi. During her free time she likes to cook, camp, travel, watch basketball, and spend time with her family and friends. Alison has been working in family and employment-based immigration for nearly ten years. She obtained her J.D. from Monterey College of Law in 2016 and she holds a Bachelor’s degree in American Studies from the University of California, Santa Cruz (UCSC), which she received in 2008. Prior to completing her undergrad, she attended the University of Essex to pursue American Studies courses in the United Kingdom for a semester. Alison also holds an Advanced Paralegal Certificate through the University of California extension program. Since 2008, Alison has worked for several renowned immigration attorneys in the Santa Cruz & San Jose areas, including working with Ann L. Lipson (formerly of Lipson & Pretorius LLP) for nearly six years. During her intensive training under Ms. Lipson, Alison gained extensive experience in immigrant and non-immigrant case types, including: EB-1(A) Aliens of Extraordinary Ability, EB-1(B) Outstanding Researchers and Professors; EB-2 National Interest Waivers; O-1(A) Extraordinary Ability in Science, Education, Business or Athletics; E-2 Treaty Investor Visa; H-1B (Cap-Exempt and Cap-Subject) Specialty Occupation Visas; Family-Based permanent residence (both Adjustment of Status and Consular Processing), as well as J-1 Waivers of the 212(e) Home-Residence Requirement. Alison has a keen eye for detail and provides high quality immigration assistance with an emphasis on maintaining a close working relationship with all of her clients. Alison was born and raised in Lake Tahoe; when she isn’t in the office, you can find her in the Sierras skiing, hiking, camping and paddle-boarding with her friends and family. Lola grew up in California’s Central Valley and attended University of California, Santa Cruz, where she graduated with a B.A. in Anthropology. While at UCSC, she studied abroad in Buenos Aires, Argentina for 6 months and Santiago, Chile for a year. She speaks Spanish, loves coffee, and is passionate about human rights. She is always looking for a way to help those in need. 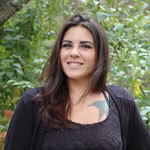 Selina was born and raised in Santa Cruz, CA. She attends Cabrillo College with a concentration in Biology and enjoys reading in her spare time.